Do you want safety and convenience – no fuel, no fire, no flare-ups? Do you want something quick and easy-to-use that won’t burn your food? 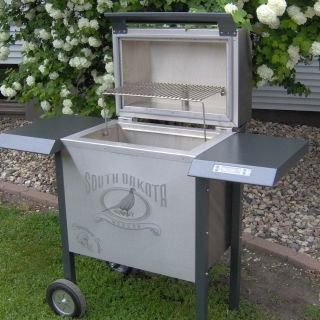 The Dakota Grill™ was designed and built in South Dakota using the latest in electronic technology. No longer will you need to mess with propane or charcoal to get the grilled flavor you desire. 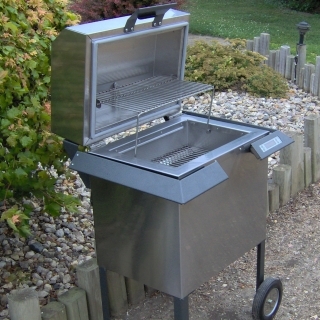 Simply plug the grill into an outlet, insert the electronic probe into the food and set the controls. You choose how you want your food cooked and how hot you want your grill. That’s it! No checking, no hassle, no worries. Just perfectly cooked food every time — so simple you don’t even flip meats. 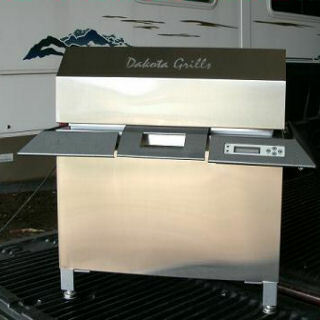 In a time when everybody is multi-tasking, the Dakota Grill™ is the answer for busy families. This grill automatically adjusts the temperature down to a “warm” setting when the probe senses the food is finished cooking. There’s time to prepare the salads and set the table with out worrying about burning the food. 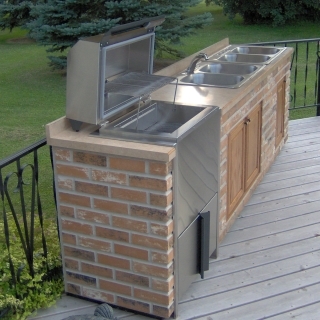 You can enjoy a delicious meal at your leisure with this grill. Have great barbecues no matter what Mother Nature throws your way. 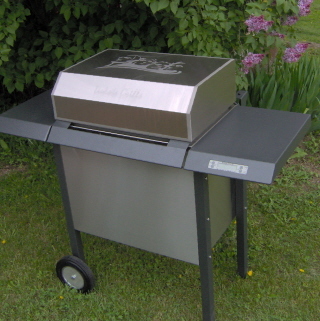 This insulated grill can be used in the rain and in the middle of winter. Even better, you have no need to brave the elements, this grill can be used indoors. 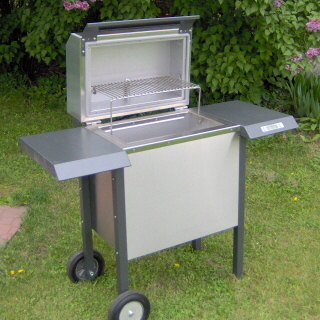 A Dakota Grill™ is not just a grill; it is also a wonderful smoker and a high-quality oven. The smoker is so well engineered that you can make anything a professional smokehouse could, from ham or bacon to smoked turkeys or salmon to summer-sausage or racks of ribs. Smoking is simplicity itself — attach the smoker tray and toss in a few dry wood chips; when done, the grill switches to warm mode. Chips need not be moistened nor replenished. One last feature you’re sure to appreciate is our grease-management system. Designed for easy clean-up and minimal mess, it will save you time after the meal. You get exactly what you desire every time. You’ll have so much juice, you won’t want paper plates. Unlike most grills, which dry your foods while cooking, our patented design retains juices and is much more effective than searing. The flavor is always wonderful, no matter what your cooking style. With a Dakota Grill, you insert a meat probe, set the grill, and walk away. It’s that easy. You don’t need to check your meat, or flip it, or worry about it. When your food is done (to whatever temperature you set), the grill alerts you. And don’t rush to take your meat off – this grill automatically keeps it warm, without overcooking. Our grills produce no carcinogens and enhance the natural flavor of meat – you do not get the typical “burned–grease” flavor unless you want it. With our grill, you control the outcome: barbecue or smoke; it’s your choice. 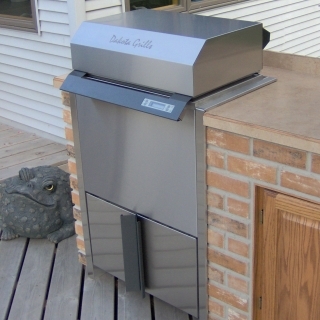 Made in the USA and crafted with pride, all Dakota Grills™ are built to last!